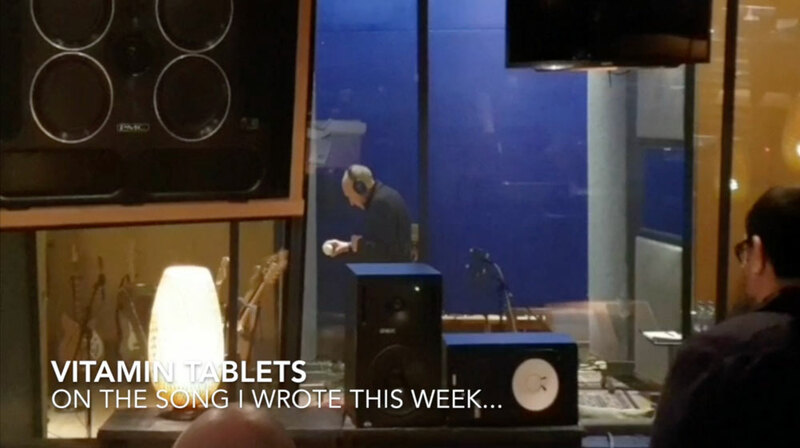 Pete Townshend releasing day by day videos and photos of the recording stage of the who’s new album at British Groove Studios. Really, it’s still just me on the music, with Dave Sardy producing, Jim Monti on the computer, Myles Clarke assisting on computer, Simon Law doing guitars. I’m playing vitamin pills and bass guitar. Roger is doing vocal rehearsals on the songs somewhere else . . .
as I’ve said before. I did a publishing conference last night to announce my novel, but forgot to take pictures…. so no Instagram on that. Our video helper Brian Beaver needed some time to rest his brain – like me he’s been working flat out, but unlike me he isn’t working on his own creative stuff. So I wish him well, and I apologise for my crappy video while he’s away. Metropolis is quite different to British Grove, a great studio to work in, plenty of space, and it’s good to have a change. We have some orchestral recording to schedule, hopefully at the amazing Air Lyndhurst in London, and we may well pick up some more days at British Grove at some point. Roger has started working on vocals in a studio near his home, Bobby Pridden is engineering for Roger. Look out for new video shoots next week. Over the weekend I am producing a few tracks by The Bookshop Band – I met them when I produced some songs for my friend Reg Meuross. Reg is playing a solo show at Bush Hall in Shepherd’s Bush tomorrow night (Thursday 28 February) so if you are free check it out. I’m hoping I might be able to get some video footage of Roger working on his vocals, or at least a “hello” for you all. About to email him to ask if that will be OK.
We managed to complete drums and bass overdubs on seven songs in as many days. These sessions were based on tracks that I produced in my home studios, mainly between May and August of last year. This overdubbing on top of my home studios sessions is how The Who albums have been made since Who’s Next when we first overdubbed on my home studio tracks of ‘Baba O’Riley’ and ‘Won’t Get Fooled Again’. 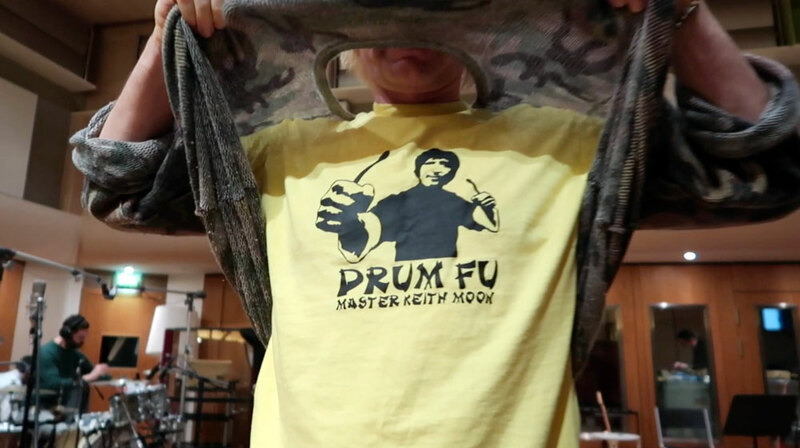 So again, as in those days, we added real drums, real bass guitar, some guitar from me, various percussion elements and anything that our producer Dave Sardy felt might make my basic home recordings come to life. We finished work on the first song, moved to the second, moved quickly through the third so now we are managing a song every day. I got to play a tamarind shaker (I discovered these seed-pods hanging from the trees in Antigua – amazing sound) and some bass harmonica on a song called ‘Detour’. We’re having a good time now. So sad to say goodbye to Pino who has to go back to LA for a prior engagement. We have Dave Sardy and Jim Monti for two more days, and Zak will hang with me. Zak’s been doing the most work this week. He’s been a stalwart. Thanks Zak, and thanks too for being so positive about my new songs. Many of you will know “The Detours” was the name of The Who before they became The Who. In this context the lyric is about men needing to find new routes, new pathways, new ways to reach a decent but still honest way to approach women in our lives and our business. We need to make a “swerve” … avoid the old ways. So it’s not so much an attempt to echo #MeToo as an acknowledgement that it has been one of the most exciting things to happen in our business for years. Today we had a visit from the Polydor Records Head of Marketing, Lucy Dann, and I have to say the label have been wonderful so far. It’s a long time since The Who made an album, but we are being treated very well – it’s a pleasure. Our A&R guy Richard O’Donovan is just great. Knows his music, past, present and (for all we can see) future. We are being supported.